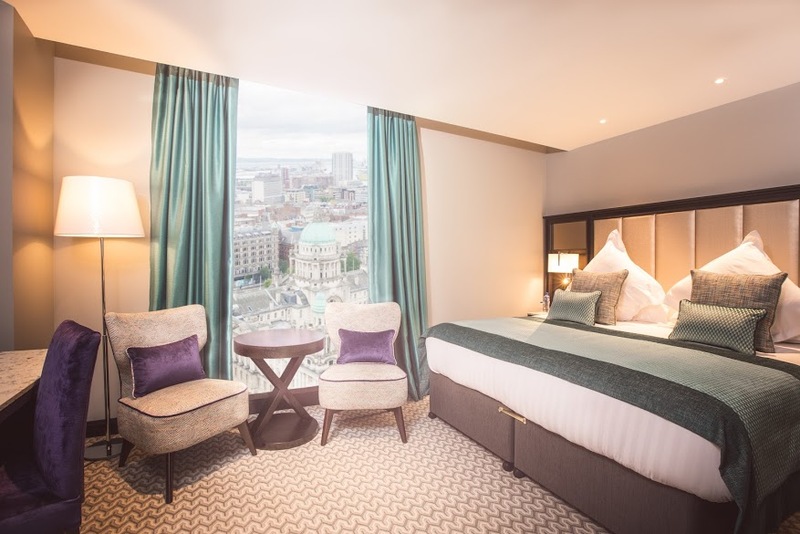 Northern Ireland’s tallest hotel, standing 23-storeys high on Bedford Street, aims to bring a new era of glamour and grandeur to the heart of Belfast as it opens today. 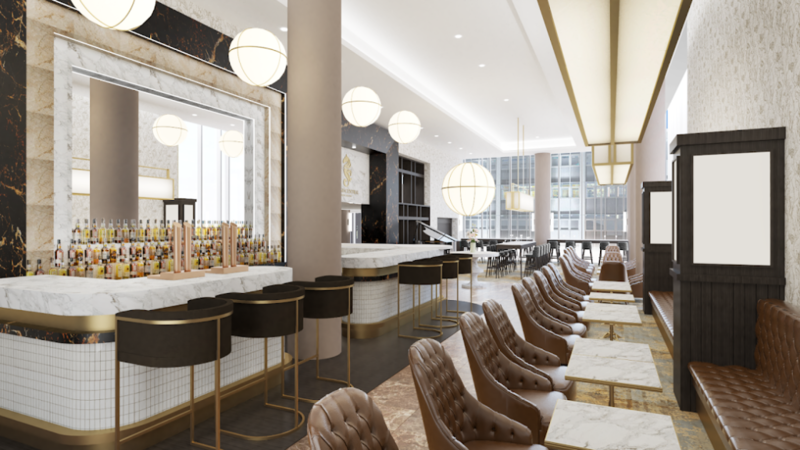 This Grand Central, which we took a sneak peek at the other week, is a contemporary reincarnation of a Victorian hotel with the same name that stood on Royal Avenue from 1893 to the 1970s. Inside, past the warm Irish welcome, are historic stories that have inspired contemporary design. The new branding for the hotel incorporates the Seahorse, a further nod towards Belfast’s Coat of Arms and a celebration of the City’s Maritime history. 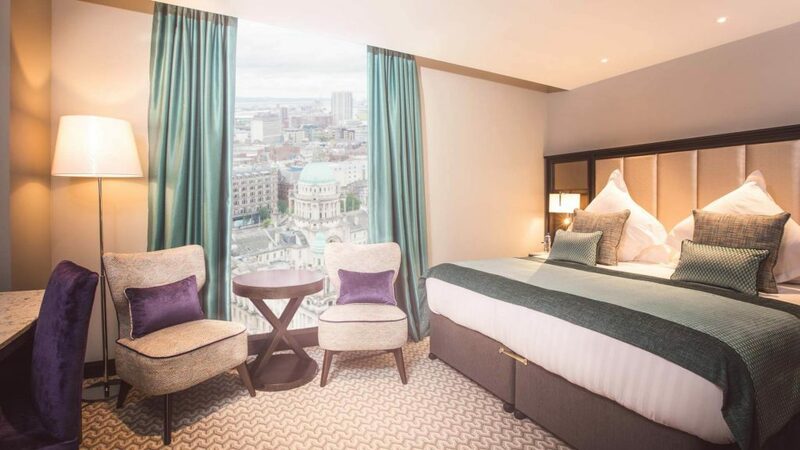 Belfast-based RPP Architects, which is also working to redesign and modernise Belfast Harbour, was responsible for transforming Winsdor House into the new Grand Central Hotel. Briefed by Hastings Hotels to create a larger hotel that can cope comfortably with the growing demand of business travellers in the area, the award-winning architects have seamlessly added an additional 104 guestrooms bringing the total more than 300. 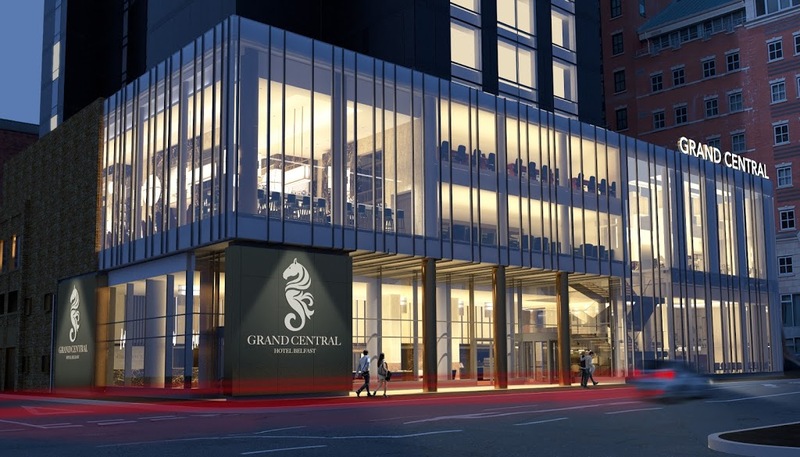 At Grand Central Hotel, guests will be welcomed into rooms and suites offering privacy, relaxation and comfort. The Grand Central Hotel offers intricately designed luxury bedrooms including 10 suites, all with spectacular views over the city. Thoughtfully crafted as a cityscape sanctuary, all rooms are contemporary in design with touchable, tactile fabrics and state-of-the-art finishes. Furthermore, each room and suite is complemented by modern amenities and the famous Hastings Hotels Cloud Bed. The hotel features three exceptional restaurants and bars, giving guests the option to wine and dine in laid-back elegance and true grandeur style. With its own private entrance off Bedford Street, The Grande Café, showcases a vibrant yet stylish design. The walls of windows flood the space with natural light whilst the sweeping counter and assorted seating invites all manners of get togethers. 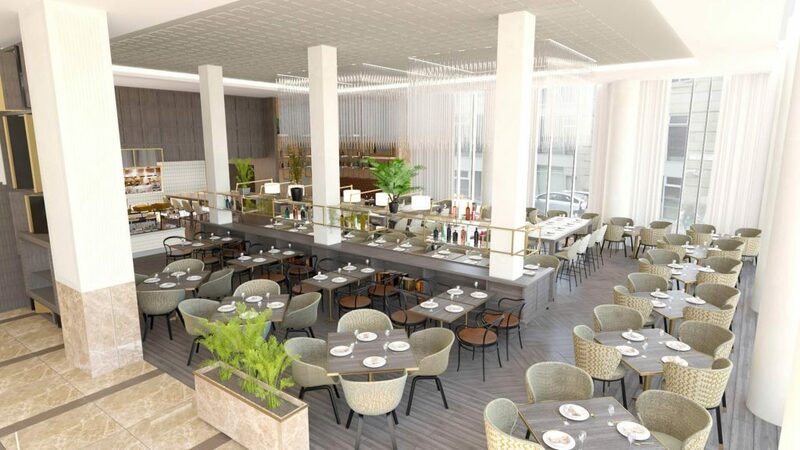 A further homage to Belfast’s maritime history, the Seahorse Bar & Bistro on the first floor will offer two distinct spaces within one exquisite venue. The jewel of Grand Central will be The Observatory, opening in September 2018. Located sky-high on the 23rd floor, this awe-inspiring cocktail lounge provides incredible panoramic views over Belfast and beyond. From pavement to panorama, this is the highest bar in all of Ireland The Grand Central is all about showcasing the very best of Belfast, and with decadent décor and stunning vistas, the Observatory does that in high-definition. The two meeting rooms – the Blackstaff and the Farset – are appropriately named after the rivers of Belfast. The meeting areas are complete with two boardrooms and the Panorama Suite – a spectacular, 80-seat reception room. Each event space can be adapted for a wide variety of business and social events, from meetings to conferences, private dinners and press conferences. A legend reborn, the Grand Central Hotel is a new jewel for Belfast with an old soul, very much open for business. Hastings Hotels has announced that it will open its seventh property on June 18, 2018. 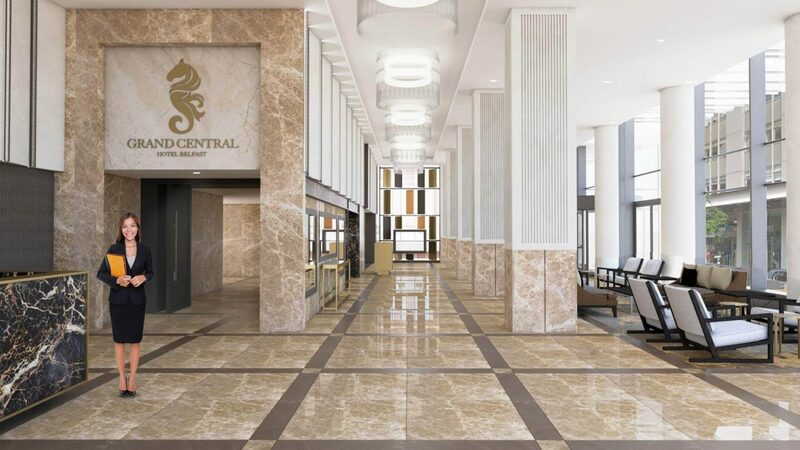 The Grand Central Hotel, Northern Ireland’s largest hotel, will open following a £53M investment into Belfast’s Grand Central. 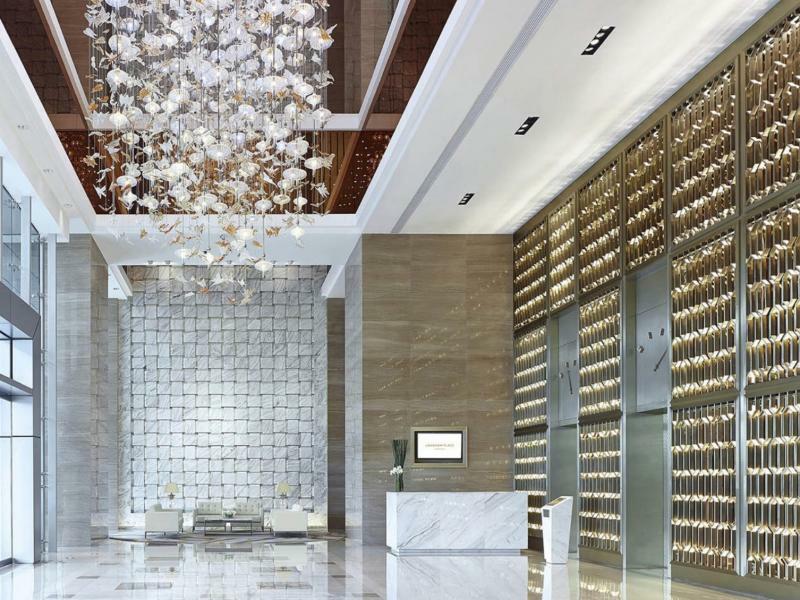 The 300 luxurious guestrooms, including 10 suites, have been designed for absolute comfort and relaxation. With room to breathe and boasting spectacular views over the glittering city, each room has been lovingly created as an oasis of calm – blended with touchable, tactile fabrics and state-of-the-art finishes. The Observatory on the 23rd floor is what the hotel regards to as its jewel. The highest bar in Ireland offers unparalleled high-definition views of Belfast and beyond, while the decadent décor creates an intimate setting. As the city is seen more and more as a ‘must-see business destination in 2018’, the hotel has announced that its first guests to be welcomed in will be a group of international delegates. The business men and women will attend the prestigious Hosts Global Forum, an influential global Meetings and Incentive Travel trade event. Adding to the significance of the occasion, this is the first time the Forum has ever been hosted in Europe, highlighting the allure of Northern Ireland as well as the hotel to business travellers. The new branding for the hotel will incorporate the Seahorse which is part of Belfast’s Coat of Arms and celebrates the City’s Maritime history. Old photographs from the glory days of the Grand Central show the Seahorse motif feature on menus and plates. This new interpretation of the classic Belfast emblem is a permanent reminder of the new Grand Central’s connection with its elegant past.